The High Street has become a total disgrace. It is filthy, poorly served by decent shops and a magnet for “dossers” or worse. During the daylight hours it is bad enough: at night it certainly does not attract anyone unprepared to run “the Gauntlet”. There is a genuine issue about homelessness. The reasons giving rise to this, in respect of people who had genuinely and previously enjoyed homes with the Southend Borough, may not be the Council’s fault. However, the immigration of the large numbers of homeless from outside the Southend Borough is certainly the responsibility of Councillors and Officials who are desperate to balance the financial books. I have come to the sad conclusion that Southend is not a town anymore but, rather, a haphazard amalgamation of areas which have been ill-planned without any central focus point. A “Town” cannot really be classed as a “town” without an area which its ratepayers can properly call a “Town Centre”. Where is the “Town Centre”? Is it Victoria Avenue: somewhere along the High Street; the Seafront? I do urge the readers of this article to compare the capital sums spent on Victoria Avenue – where, coincidentally, the Civic Centre lies - to those spent on the High Street; similarly, to compare those capital sums to the monies which are now apparently to be “recouped” from the Seaway “complex” sometime whenever. In fairness to the present Council, the rot set in years ago, with the advent of Customs and Excise along Victoria Avenue. At that point, all the focus of the Council shifted north of the A13 and away from the Borough’s traditional roots. Back then, our elected Concillors dreamed of big ideas. As a result, the unsightly sprawl of 1960’s concrete jungle along Victoria Avenue was created. What an unsightly mess that continues to be. I sense that the same “dreamland” now dominates this present Council’s thinking with regard to its proposed Seaway project. Grandiose ideas, but ill thought through on a long-term basis and doomed to the same failure. 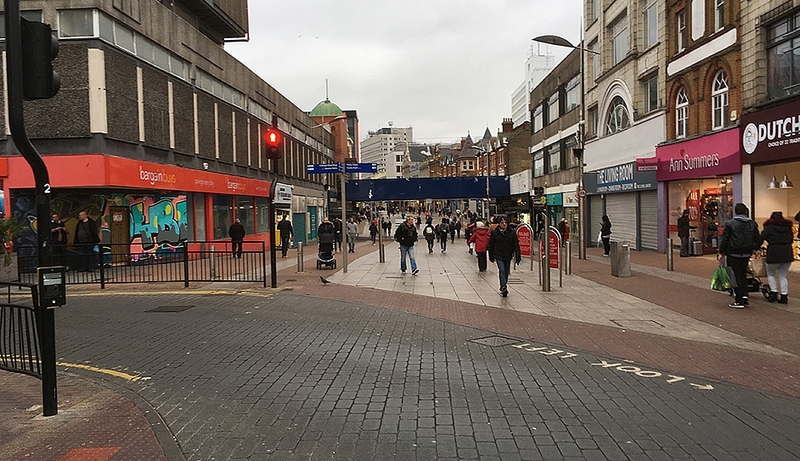 The loss of the genuine parking spaces at Seaway is a major disaster waiting to happen for those retailers who continue to struggle on, in the High Street. The pathetic and desperate reaction by the Council to ameliorate or to explain its decision to lose those spaces is another farce. It now proposes to flood the Conservation Area and other “Resident Permit Areas” with Parking Meters instead: oh, yes, that means that visitors being attracted by the Council to what remains of “The Cliffs” will be paying a ludicrous sum for the privilege. Philip Miller’s article made me smile in wry amusement, not for what he said but for how he said it. Sadly, that’s the only thing about this debacle that has given me a smile.